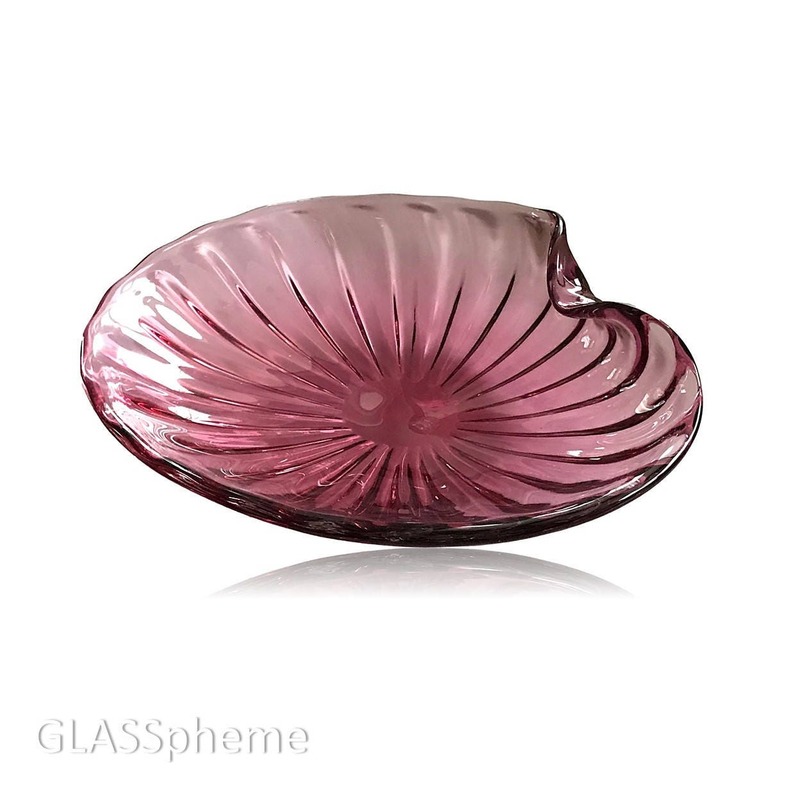 Nobody does cranberry glass like Alfredo Barbini! 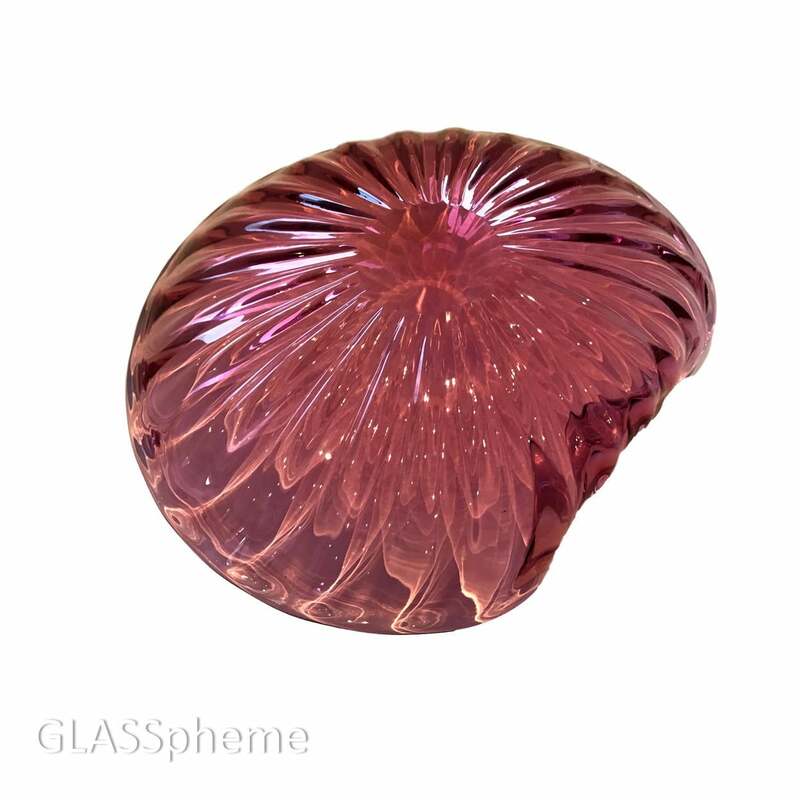 Thick, with deep color and startling clarity, the optics on this magnificent dish make it explode with light. Use it as a centerpiece, candy dish, or on display. This beauty is a much documented "Barbini for Weil Ceramics and Glass" creation.